Since its inception in 2013 the Movie in the Park events have generated big crowds and lots of fun at Woodward Park on the north east side of Lapel. For the latest Movie in the Park on July 12th the Movie will be screened on the corner of Main St and 7th where the Doug Anderson concert was in 2013 / 2012. 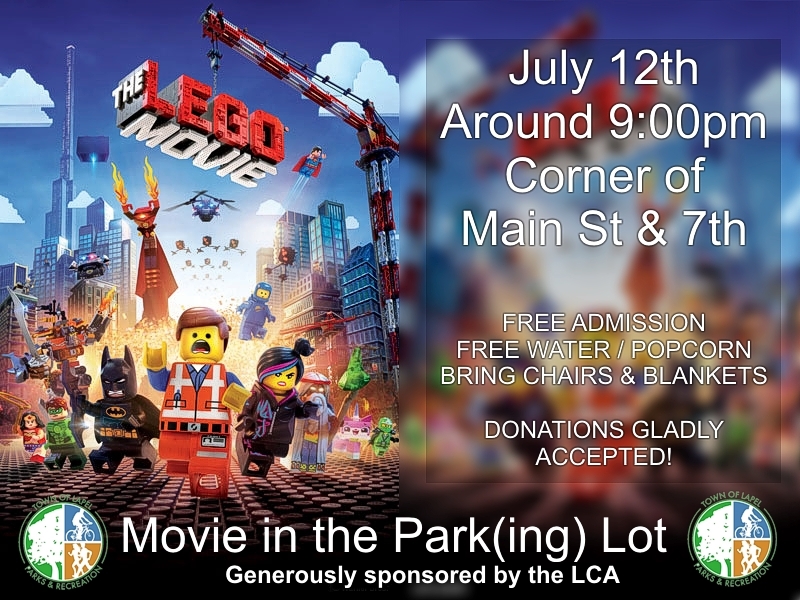 The Movie in the Park(ing) Lot will be The Lego Movie.